An independent evaluation commissioned by the Solomon Islands Government (SIG) of the OLPC pilot projects in the remote Western Province has boosted calls to expand the program in the country and across the Pacific. The study, conducted by the Australian Council for Educational Research(ACER), evaluated OLPC deployments in three village schools in the Marovo Lagoon and found the impact on students, teachers, parents and communities undeniably positive. "OLPC must and should be given the opportunity to expand in Solomon Islands," the report quotes a school principal involved in the pilots. "It must be realised appreciated and embraced." For students, the big pluses were access to new knowledge and the opportunity to learn independently. Children said the program helped them master the basics of reading, writing and mathematics but also opened up the world by enhancing learning through discovery: "To help me to learn many things I did not know before" as one Grade 5 boy told the researchers. The SI government has welcomed the report, citing "clear potential benefits for schools and based on the positive outcome of the report the Ministry of Education is now focusing on the way forward". The report was commissioned by the Ministry of Education and Human Resources Development (MEHRD), which will now investigate options for scaling up the program in the country. The study fills a gap in local evidence on the global OLPC program and offers a crucial local perspective. OLPC projects are now up and running in 7 Pacific countries, with 8 more countries seeking support from international donors to introduce OLPC in their education systems. The SIG/ACER study now provides valuable evidence for Pacific countries to support their policy and program plans. The Solomon Islands is one of only a few countries to develop its own Monitoring and Evaluation Framework for the program. ACER’s evaluation focused on the impact of the OLPC program on teaching and learning, among other objectives stated in the framework. Three trial projects began in July 2008. The schools in the trial were Sombiro, Batuna and Patukae Primary Schools in Marovo, Western Province. The evaluation indicated that the impact of the OLPC program has been very positive and while there have been some technical challenges, the new technology has been enthusiastically embraced by the schools and communities. The evaluation was carried out over two months in late 2009. Local interviewers were trained in workshop sessions as part of the evaluation. Interviews were conducted with students, parents, teachers and community members. Consistent interview questions, tailored for each group, were used. evidence to date indicates that the trial has largely met the objectives of the program as outlined in the MEHRD framework. Parents, students, teachers and community members see major benefits in the program. The provision of the laptops has been greatly appreciated as a step in improving learning for students. This appreciation was repeatedly expressed in interviews. continued attention to monitoring and evaluation. The OLPC program provides rugged, low-cost, connected laptops to children in developing countries. The program seeks to encourage learning by engaging students in a range of educational software undertaken both individually and with eachother via the XO laptop. 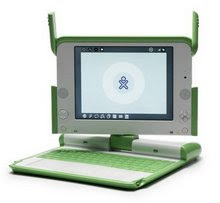 The software, called “activities” in the OLPC system, come pre-installed on the laptop for immediate use, or they can be adapted to suit local needs, or supplemented by wholly local content. OLPC Oceania is one of three programs carried out under the Pacific Plan Digital Strategy with the support of the Secretariat of the Pacific Community. The Solomon Islands trial was also undertaken with the technical and resource support of the region-wide initiative, “One Laptop per Pacific Child”. Download the SIG/ACER report here. Read a news item from the Solomon Star newspaper here. 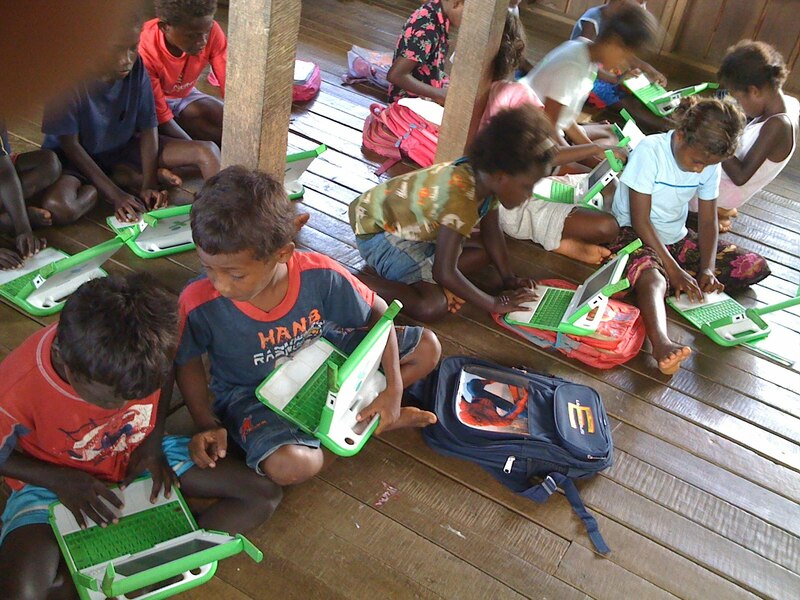 More on the OLPC programme in Solomon Islands here. Access the Solomon Is government's Measurable Objectives and evaluation framework. There has been an article written on the main OLPC site regarding how this is not "hard evidence", calling for a more objectified approach in examining the effectiveness of OLPC. My question to you is: is there any way to obtain quantifiable evidence from oceania, like the article author recommends? Hi Makamizz, the author of that post misunderstands the scope of the evaluation and the scale of the projects evaluated. He also hasn't read the report carefully because it acknowledges the limitations of both the pilots and recommneds scaling up to enable the collection of just the sort of data that OLPC News is calling for. If the Solomons can secure funding to scale up the pilots, it plans to install monitoring and evaluation from the outset, as the report recommends. It helps if people read the material before jumping in to criticise.